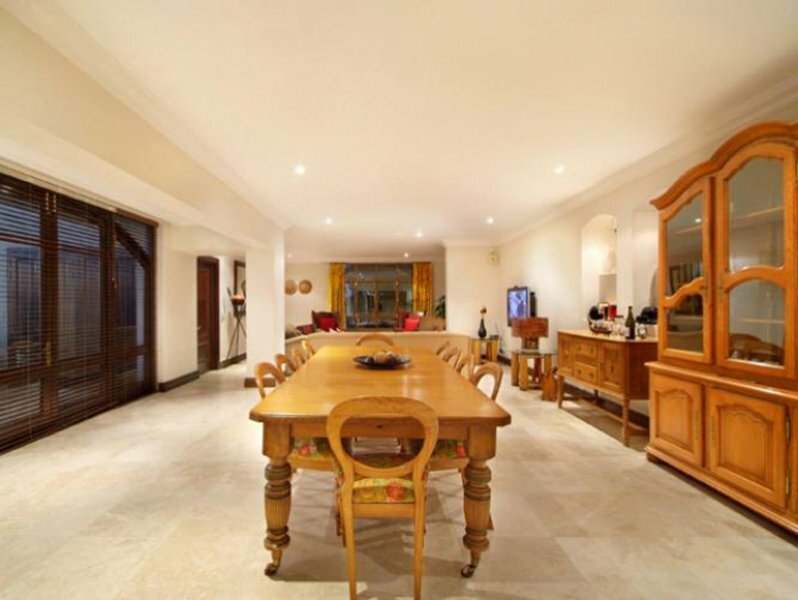 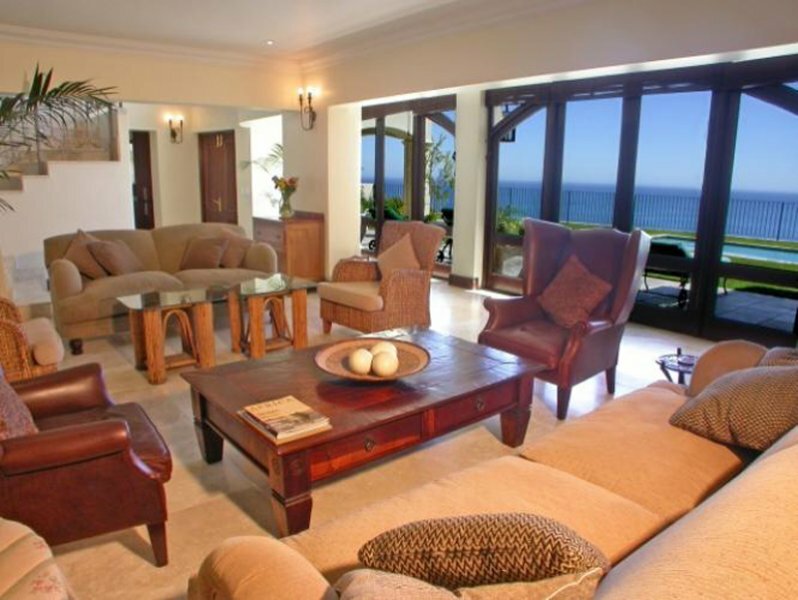 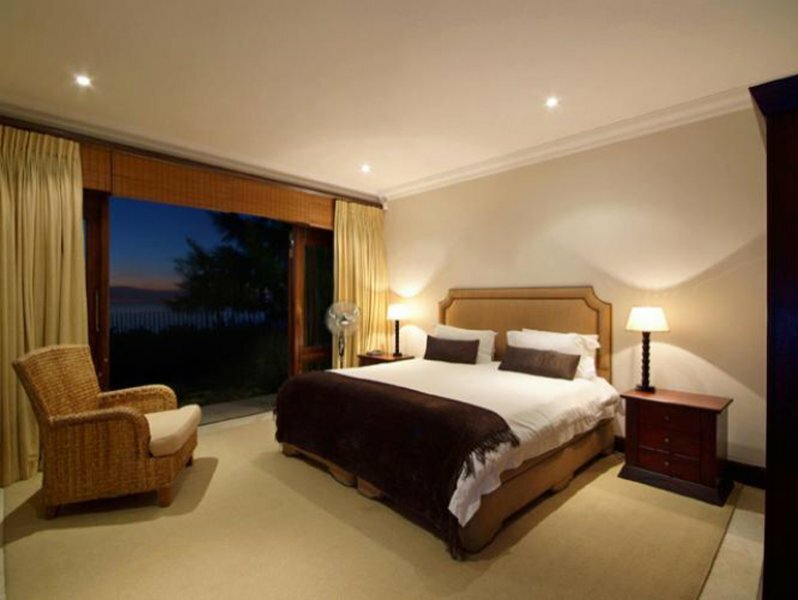 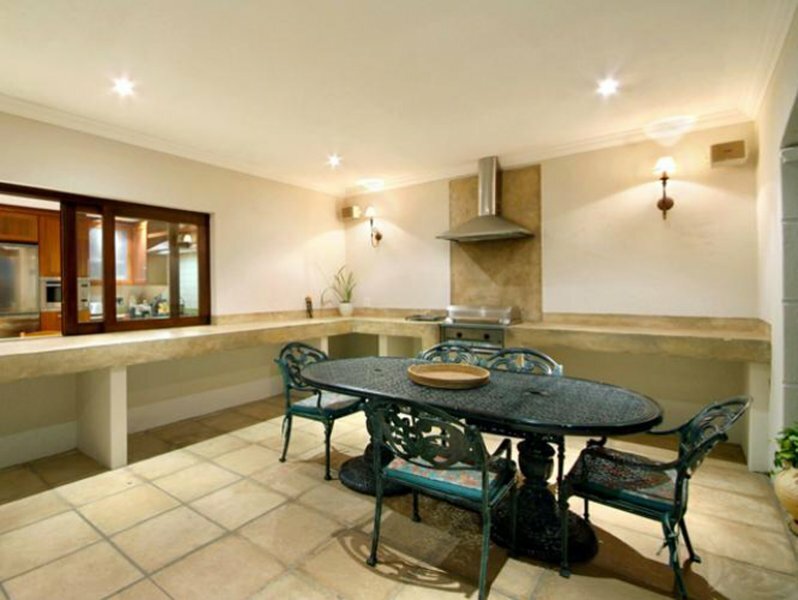 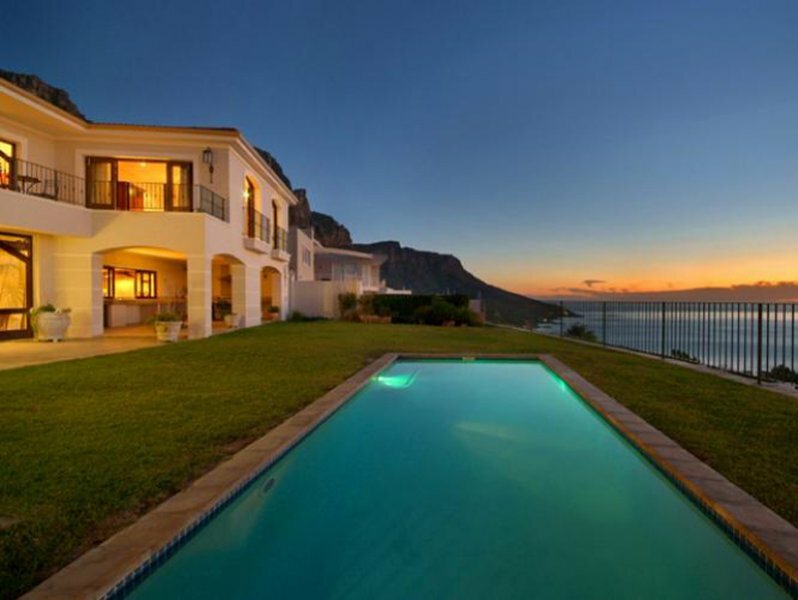 Abaco Villa is an exquisite six bedroom villa situated on top of Camps Bay. 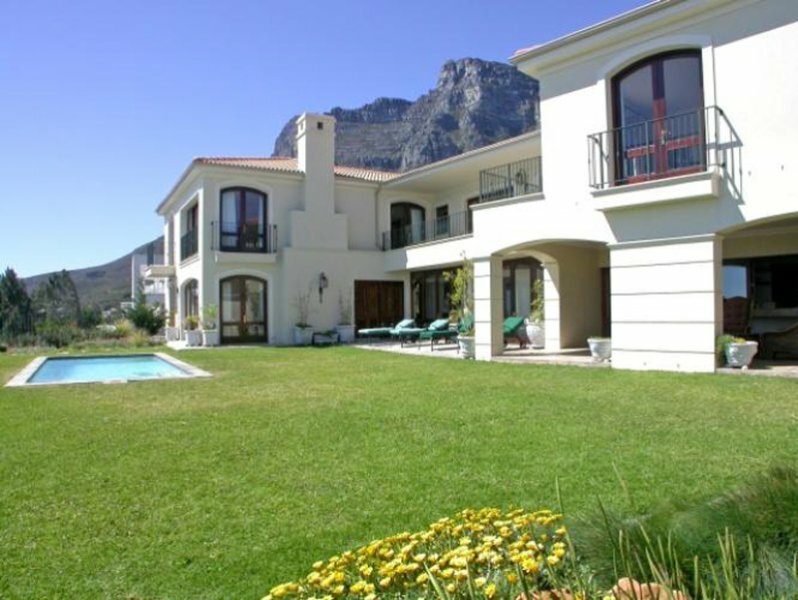 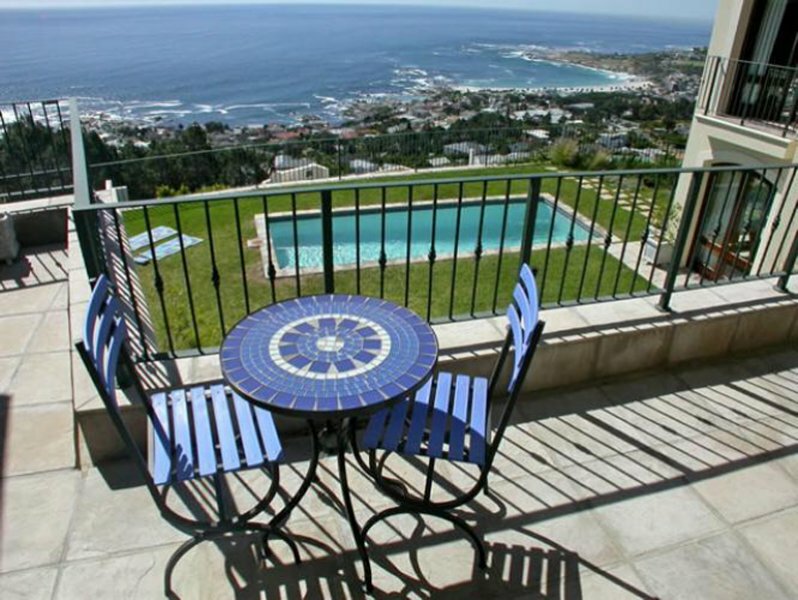 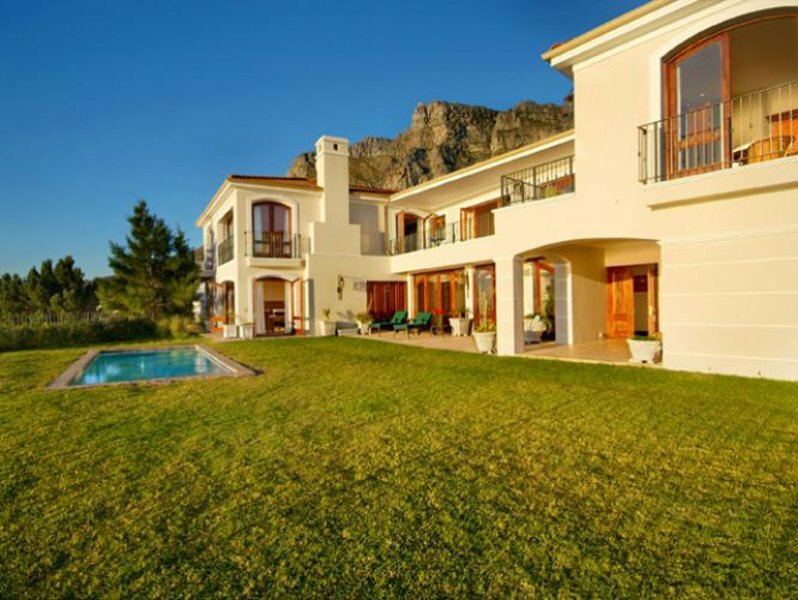 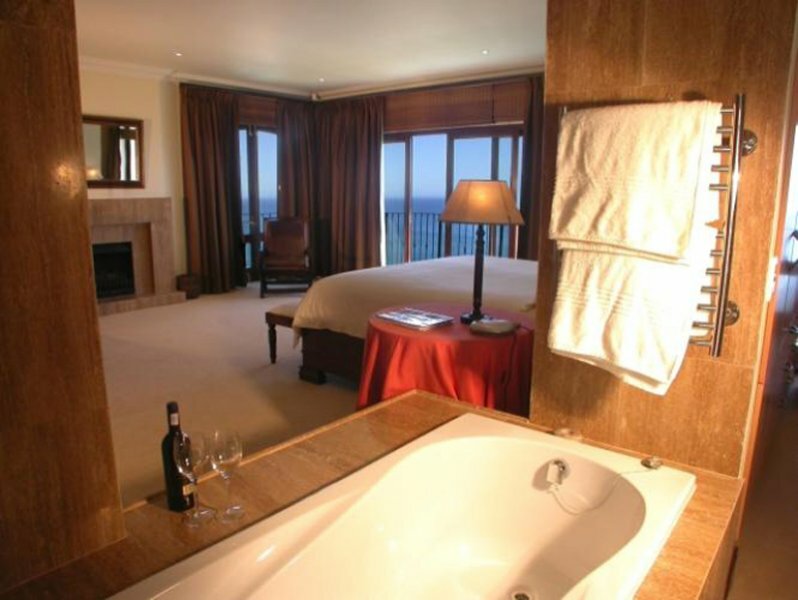 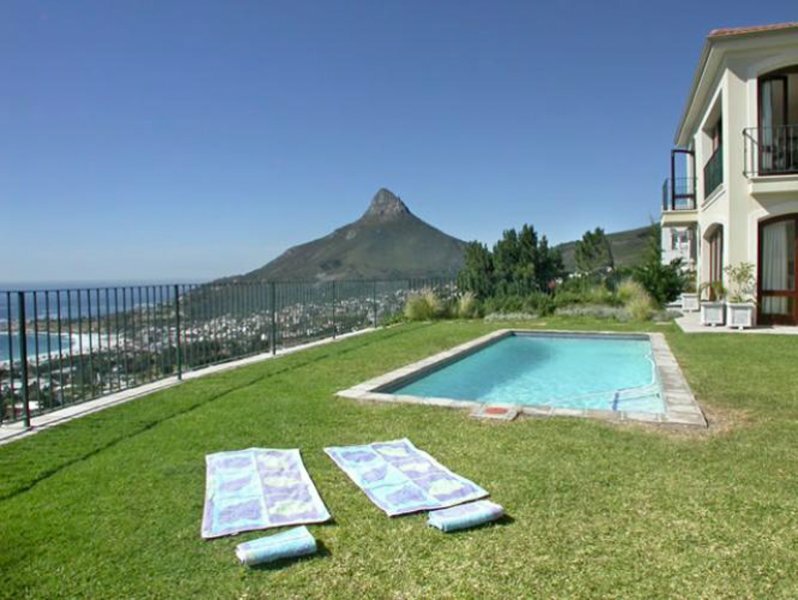 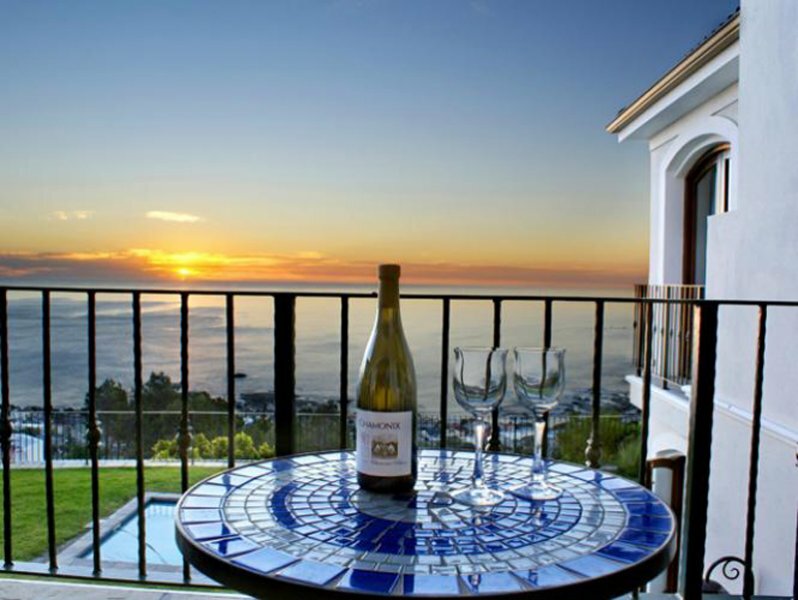 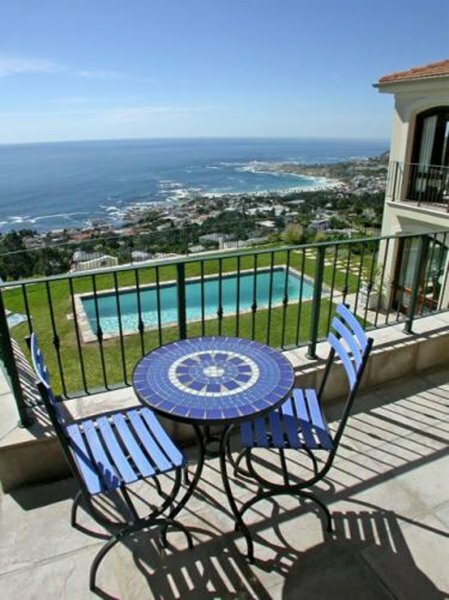 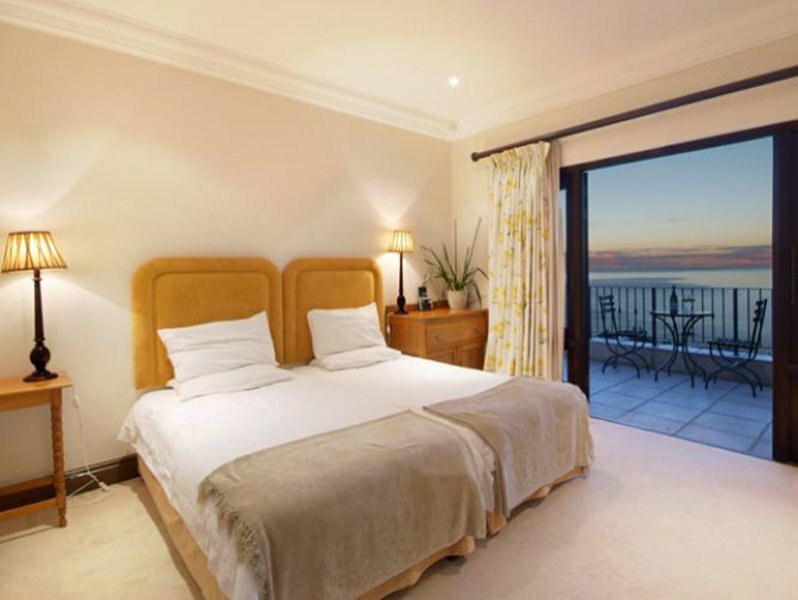 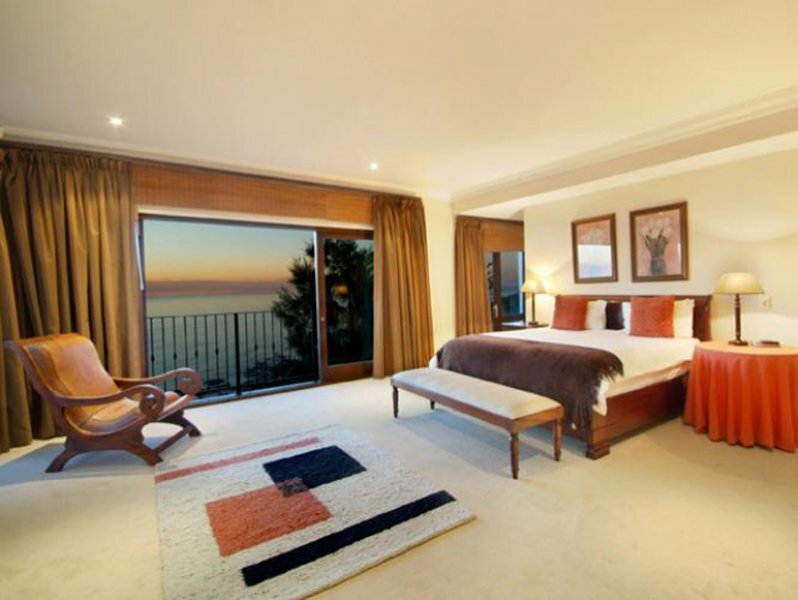 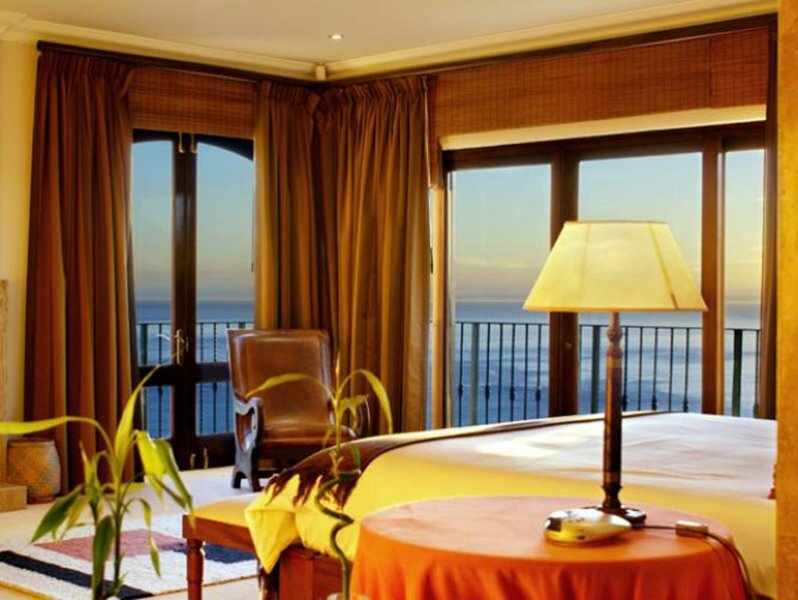 Positioned high up on the hillside, this gracious vacation accommodation offers magnificent panoramic views of the Atlantic coastline, Lion’s Head and Camps Bay beach. 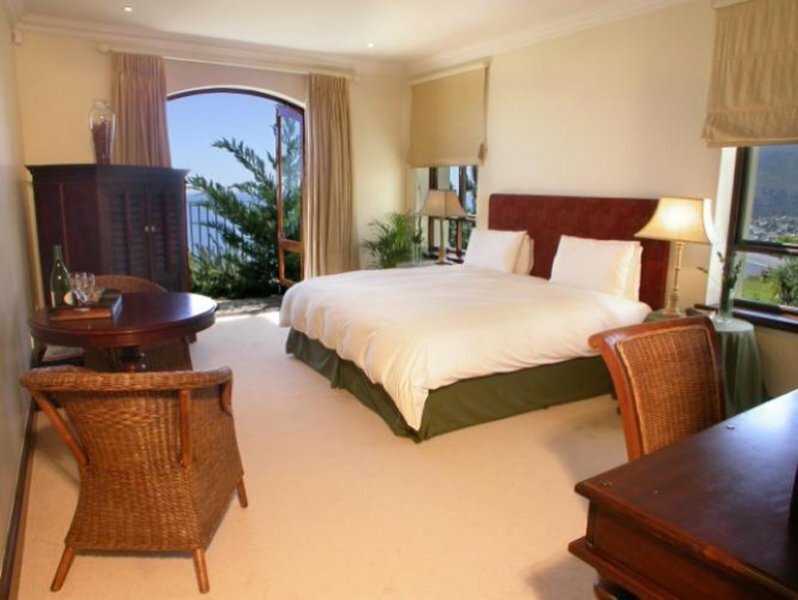 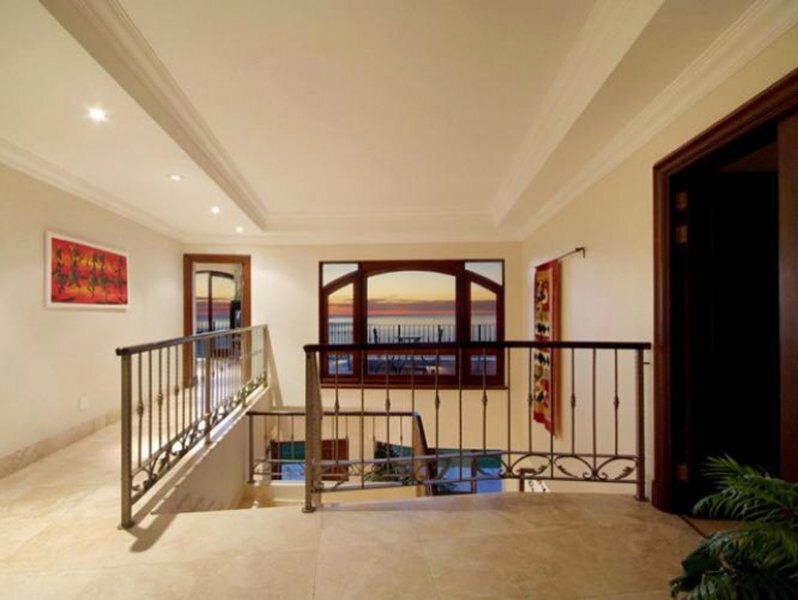 Abaco Villa has been designed in such a way as to take full advantage of these breathtaking views – three of the six bedrooms are positioned upstairs, all offering access onto the central balcony which boasts unbelievably gorgeous views of the Camps Bay coastline and the majestic surrounding Cape Town mountainside. 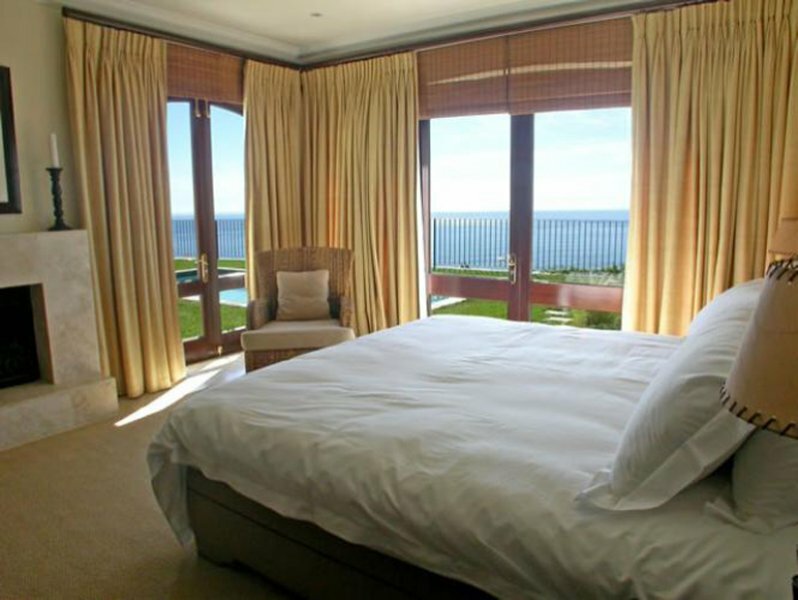 The two downstairs bedrooms open onto a private garden, which again has unrivalled views. 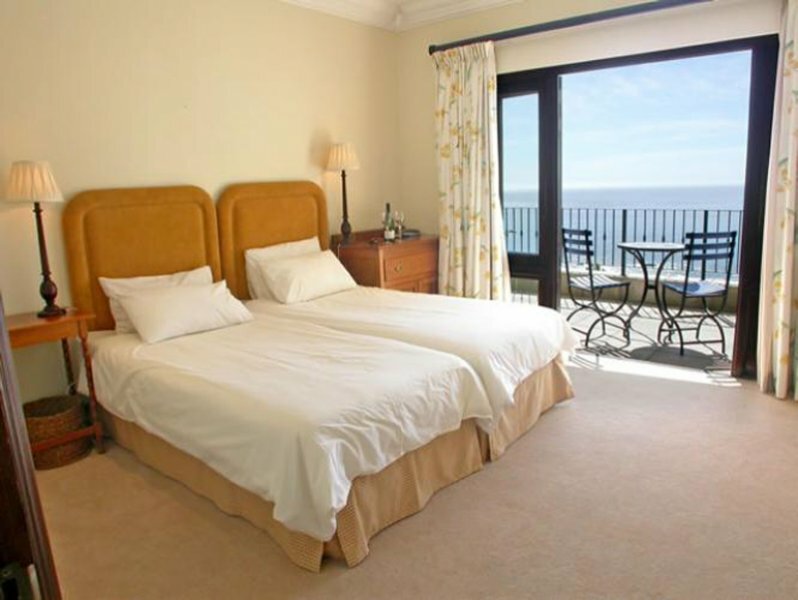 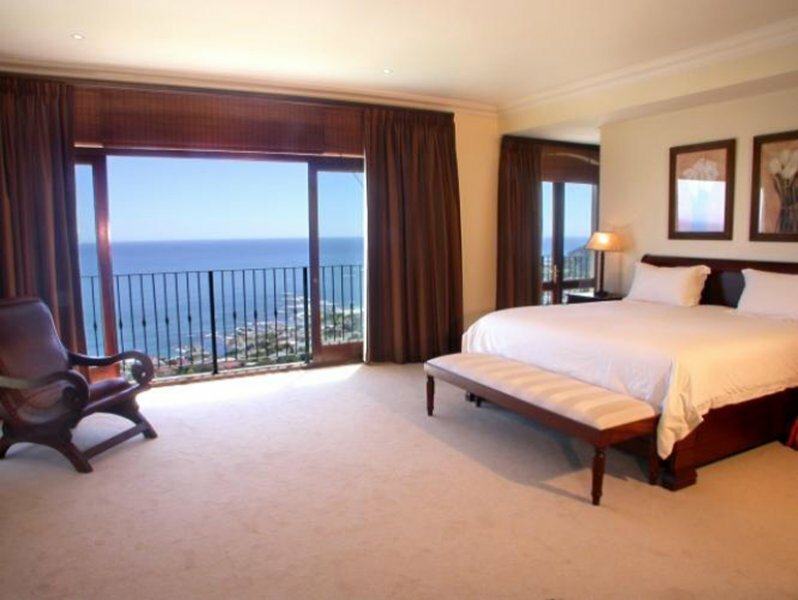 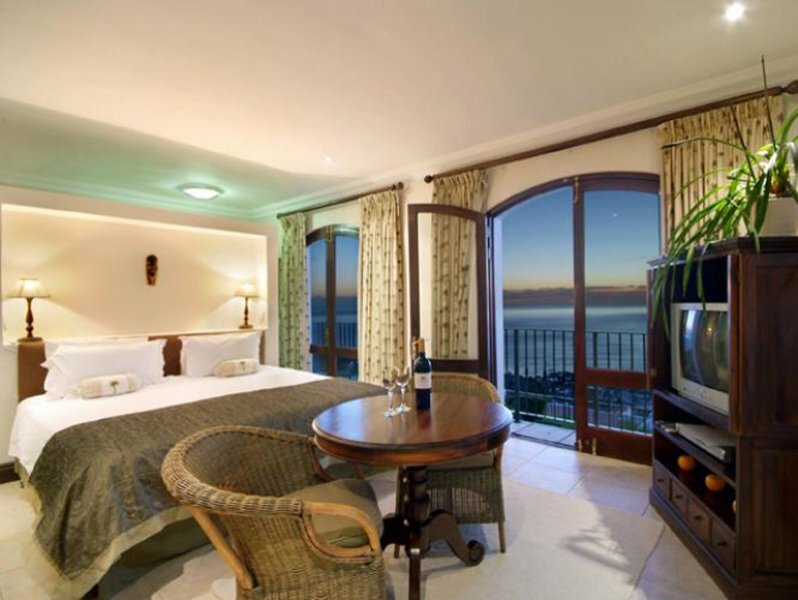 The sixth bedroom is a studio which is situated below the main villa and has its own private garden and amazing sea views. 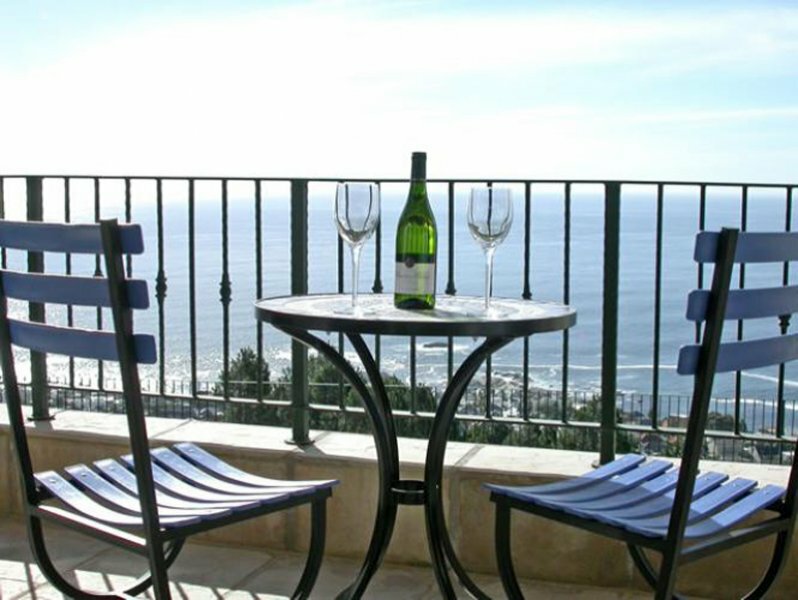 Although it is not quite as luxurious as the main villa, it is perfectly suitable for children, an au pair or another couple. 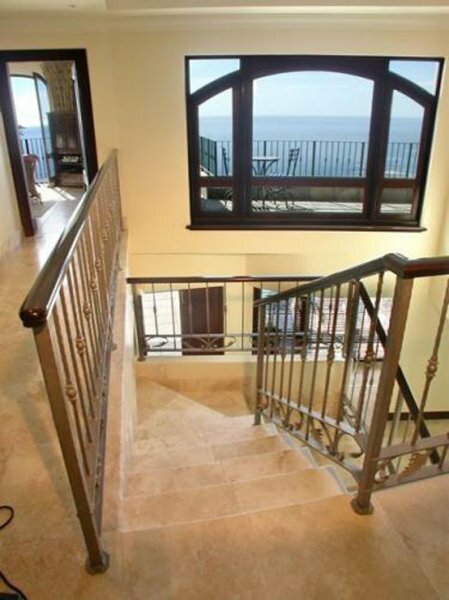 The studio has its own seperate entrance but can be accessed from the main villa. 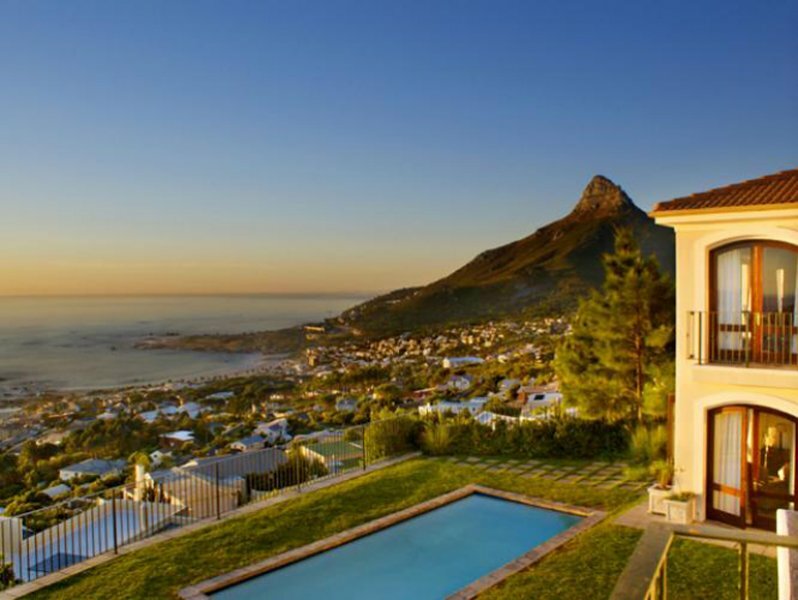 Abaco Villa is the epitome of upmarket luxury – featuring travertine floors, granite and marble finishes, and Jarrah and Teak wood furnishings throughout this sublime Cape Town holiday villa. 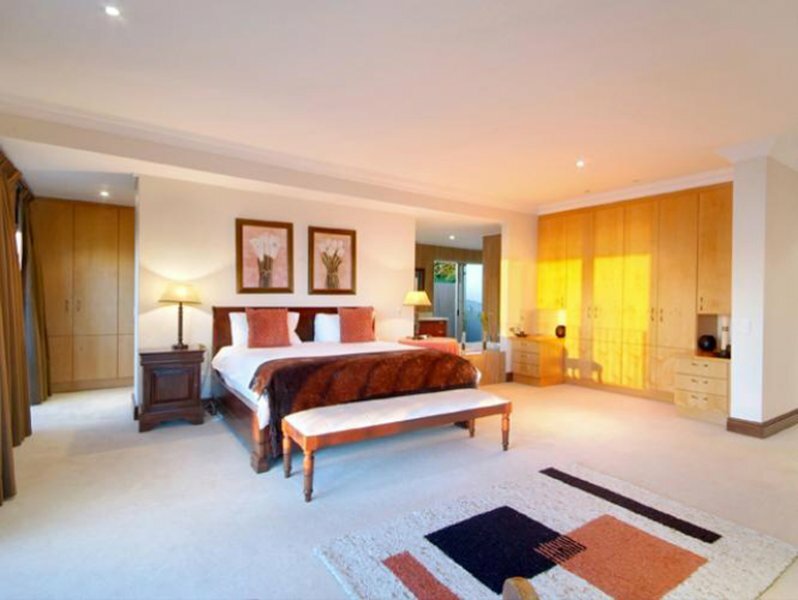 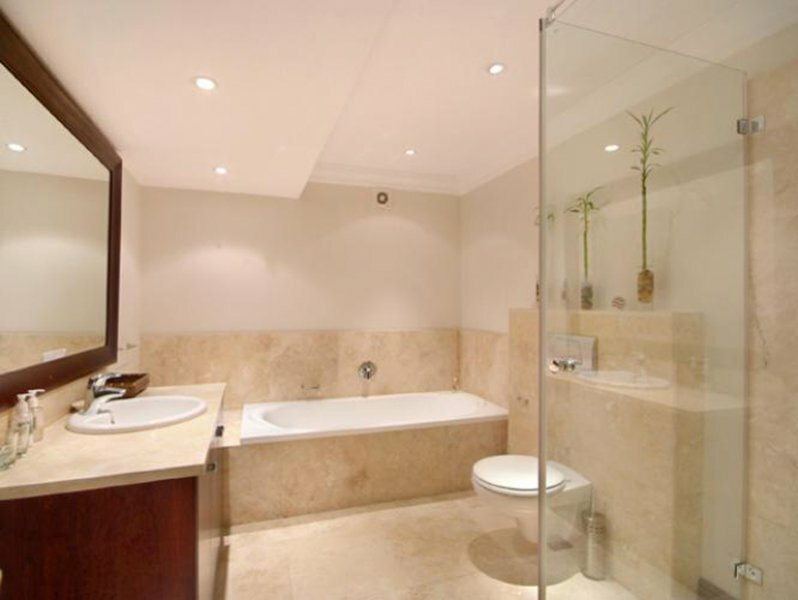 The living and dining areas downstairs are spacious and luxurious, offering first-class quality and comfort. 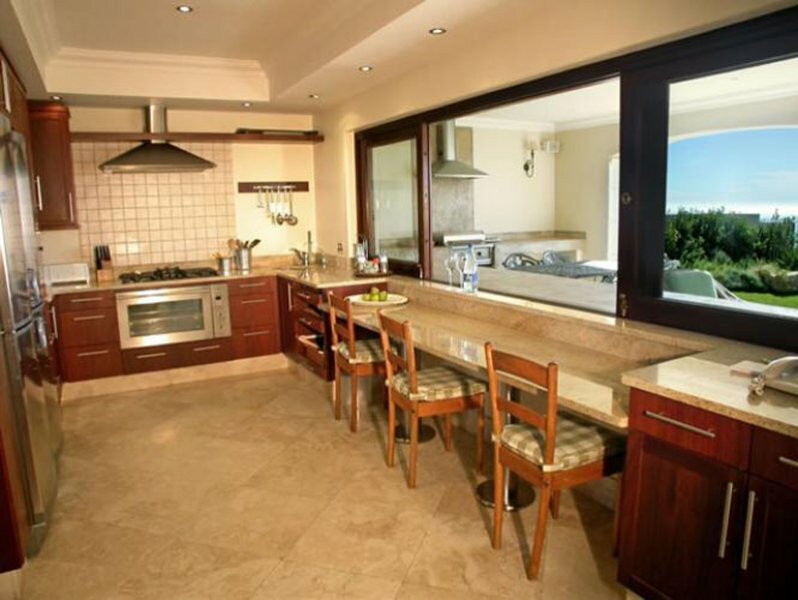 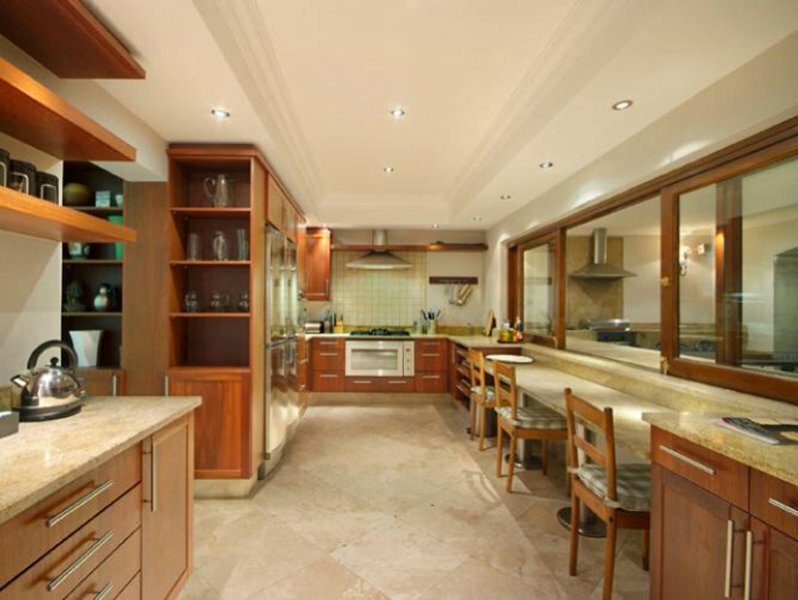 For sumptuous gourmet catering, the fully equipped designer kitchen offers ample space and features a semi open-plan breakfast bar overlooking the outdoor patio.